Packing for long term travel can be difficult. I know I personally debated for a long time over what I should pack. To see exactly what I packed see my previous post about packing for long term travel. Looking back, I spent most of my time searching for the right clothing and shoes to bring, and probably not enough time thinking about the “other” non-clothing items that we might need. Now that we are over ten months into our journey, here is a reflection on some of the items we have been happy to have on our journey, the items we wish we would have packed, and a few items we wish would have left behind. Kevin gets full credit for this contraption. Our handheld tripod resulted in lots of funny stares, looks and comments from strangers. However, it is the secret to our “selfies.” We use this retractable wand daily and love the results. It’s lightweight and compact and has enabled us to capture ourselves in our pictures—something we have never been able to do before. This definitely tops our list of best packing selections! Duct tape is the most useful and versatile item we packed. It ‘s virtually flat when you crush the roll. 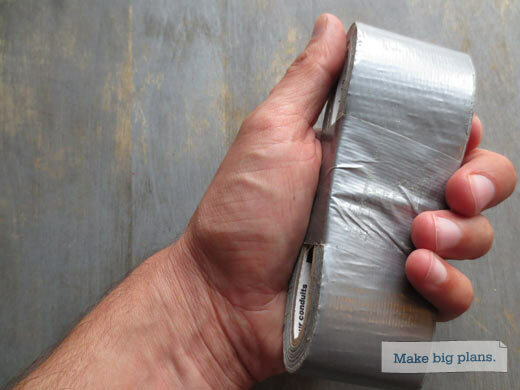 If you follow our blog than you already know that we have found countless uses for duct tape. Our uses have included patching a beer can, re-sealing packages, keeping our GPS charged, bug-proofing our room, sealing a door and even as first aid! 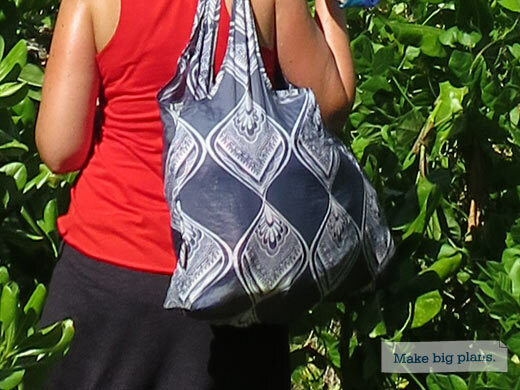 A lightweight packable bag has many uses from the grocery store to the beach. A few days before our departure, I made a list minute stop at REI to pick up some additional packing cubes that were on sale. In doing so, I ran across a compact lightweight bag. The bag expands to a nice size and holds up to 40 pounds of weight. It compresses down to nearly nothing and weighs mere ounces. We have found countless uses for this bag including: a beach bag, a grocery bag and even a laundry bag. It has been far more durable than plastic bags and holds a lot more volume and weight than one too. An unlocked phone allows you to use local voice and data providers. Just pick up a SIM card at the airport or local market. Getting cell phone coverage is really quite simple around the world. In my opinion, it is far more simple than it is in the U.S. where a long term contract is required. The rest of the world makes it easy. Simply pick up a SIM card for a few dollars and then pre-load it with credits to use for talk time and data. 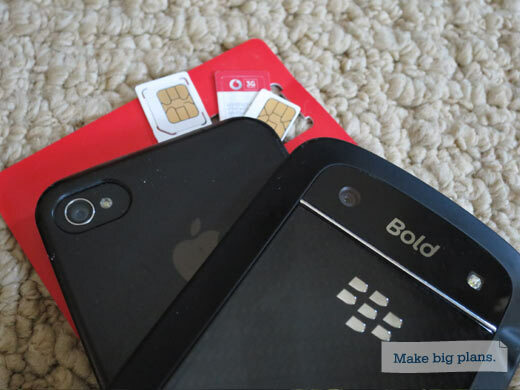 We highly recommend using local SIM cards if you have an unlocked cell phone. It is great to have local service in case of emergencies, as well as to make bookings, inquiries or do quick searches for top sights or even restaurants nearby. Most providers in the U.S. “lock” phones to their network meaning that you can’t use foreign SIM cards to get coverage from another provider. So the key is to find or purchase a cheap unlocked phone. We lucked out as we had a friend that provided us with an unlocked Blackberry. (Note: I never was able to get data coverage with the Blackberry in any country, but it worked fine for voice service.) Plus, due to some technical issues with our home cell phone provider, they unlocked Kevin’s iPhone while we were on the road which made things much easier. Of course, local SIM cards are only good for local use. If you need to stay in touch with friends and family back home, we suggest using a web-based service like Viber or Skype. Note: We also picked up a USB WiFi dongle while in Iceland. Then, all we had to do is purchase a SIM card (from the same carrier) in order to obtain wireless web access for our PC. We’d be lost without our GPS. Garmin has the best world wide maps. A GPS unit didn’t cross our mind until a couple of days before our trip. Kevin quickly researched and ordered one online with overnight delivery. Luckily, it arrived the day before our departure and Kevin was able to purchase and download maps for Iceland before we left. In all the locations where we rented cars (Iceland, Scotland, Ireland, New Zealand, Australia, and South Africa) we have been VERY thankful to have a GPS. We literally would have been lost without it. However, we rarely used it when in countries where we relied on public transportation. So in the future, if a trip involves self-driving, then we’ll always pack a GPS! 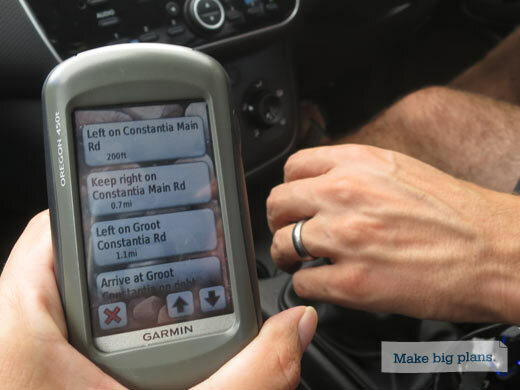 Phones with mapping apps can work as well, but only if you have an unlocked phone and are able to load up a local SIM card before hitting the road. A GPS is better because it works by satellite so you don’t have to worry about patchy cellular networks, especially in remote areas of the world. We often drove in areas that didn’t have any cellular coverage at all. Although we attempted to hit destinations when the weather would be mild, I still chose to pack a fleece hat and gloves. Unless you’re at the equator, weather can be very unpredictable and thus you never know when hats and gloves might come in handy. (Plus I always pack a scarf, because they are so versatile.) If you look at our travel pictures, you’ll notice that I used my hat and gloves frequently. Plus they don’t take up much room, so they’re well worth having. In hindsight, there are a handful of items that we wish we would have packed on our adventure. We have managed to pick many of these up along the way, but had we known how useful they’d be, we wouldn’t have left home without them. A dry bag never crossed my mind as an item to pack for our trip. However, after being caught in torrential downpours while hiking the Tongariro Crossing in New Zealand, we wish we would have had one. We were carrying our passports (we didn’t feel safe leaving them in the motor home) and when we returned and unpacked our bag, we found soggy passports with bleeding ink! We also had electronics on the hike but sealed them inside zip lock bags which works in a pinch. After that incident, we decided to pick up a dry bag. During the post-Christmas sales in New Zealand, we found one marked down and quickly put it to use. It has helped keep important documents and some of our electronics dry during the ladder half of our trip. Just today we were thankful to have it when we got caught without shelter in a lengthy heavy downpour in the Seychelles. We also have used it hiking, at the beach and on boating excursions. For everyday use, Kevin brought a day-pack and I elected to bring a light-weight satchel. The satchel was more like a purse and thus I thought it would make me look less like a tourist. However, what I soon realized was that even though the satchel was lightweight, once we added contents it quickly became heavy and awkward to carry. So I found a small, pack-able backpack in New Zealand and it became my bag of choice. It was far more comfortable for longer periods since it distributed the weight more evenly and it seemed better suited for carrying our daily essentials. It was also better suited for hiking. Our original packing list included headlamps. Unfortunately, I had no idea where they got packed during the move out of our house and we ended up leaving without any type of flashlight. At Kevin’s request, my brother brought us a small flashlight when he met us in Europe three months into our trip. We bought a second flashlight in Cape Town, when preparing to do the full moon hike at Lion’s Head. We were thankful to have two lights when we descended Lion’s Head after dusk. In addition to using the flashlights on the hike, we have had a few instances where our accommodations lost power. Plus, on the island of La Digue in the Seychelles, there are no street lights. So, we needed flashlights to transverse the unlit streets after sunset. Other uses we have found on our trip for an extra light include using it on to help spot animals while on safari after dark; in Tasmania, flashlights (when covered with red cellophane) could be used to illuminate penguins coming ashore at night; and opening apartment doors in dark hallways. 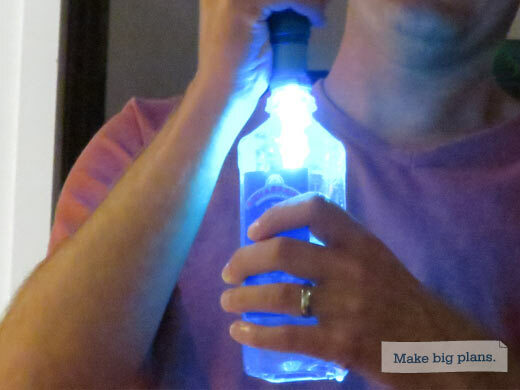 A headlamp or small flashlight takes up little to no space and you never know when you might need a backup source of light! A towel was on my original packing list. However, I had issues finding something that met my specifications: lightweight, quick-dry, compact and pack-able. Since I was unable to find something that met my needs, I packed a sarong as my second choice. We learned during a trip to Brazil a few years ago that a sarong is not only great as a bathing suit cover up, but it also doubles as a light weight easy to pack towel. Since a beach destination was not on our itinerary for the first six months and I was running very short on space, I decided to remove the towel at the last minute. I justified the removal since I did not think I would need it in the first six months. So, why carry it when I could pick one up six months later when I actually needed it? I must admit, I wish I had a towel more than a few times in the first six months. In Europe, we stayed in hostels where towels were provided only at additional cost. Likewise, there were a few places where I would have preferred to use my own towel over the towel provided. During the latter part of our trip we have done many boat and beach excursions and didn’t have access to any towels. In Australia, we finally broke down and purchased a cheap $7 beach towel and have been carrying it with us ever since. During our travels we have seen a few people traveling with a bath towel sized, super lightweight, microfiber towel. It would have been perfect. I must admit seeing it made me a bit envious. I tend to be cold. So, when traveling I typically won’t leave home without a lightweight fleece. On this trip, I mistakenly opted to take a lightweight down pullover instead and it did not take long for me to miss my fleece. I ended up purchasing one at an after Christmas sale and have used it a lot since. It is definitely something that will make all future packing lists. Based on our travels to date, there are a handful of items that were a waste of precious space and we now know we could have managed without them. Nice to have, but not useful enough to carry full time, unless you’re camping in super remote areas. Based on our plans to travel in China and Southeast Asia, we packed a UV water purifier to ensure that we always had safe drinking water. It was nice to have just in case, however, we have never needed it at any point during our trip. In regions with iffy drinking water, we always had access to safe, bottled drinking water. Bottled water seems to be readily available in most countries (unless you’re hiking in remote areas for several days at a time). We packed “extras” of some personal care items such as razors, toothbrushes, q-tips, sunscreen and deodorant. If I had to do over again, I would leave the extras behind and just purchase them as needed on the road. It’s easy to find the essentials in most drugstores and markets around the world. I traveled with two belts. I wore one frequently; the other only once. It is a matter of personal preference, however, going forward I will only choose to bring a single belt. On the other hand, when I asked Kevin what he would have left at home, his reply was a belt. Unlike me, he has rarely worn the belt he packed. We packed travel size toiletries like shampoo, conditioner, soap and lotion. I would think twice before packing on future trips. It would depend upon the routing and expected accommodations. For us, I found many opportunities to pick these up at hotels and motels along the way. Regardless of where we picked them up, I definitely was glad to have some. There were a few places (like hostels) that don’t provide any soap, shampoo, conditioner or lotion. Hindsight is always 20-20. Now we know and are all the wiser! Do you have any packing hits or misses? If so, share them with us in the comments. Packing for Long-Term Travel, Her Side Finding the Right Shade How Are You Traveling for So Long?